Last night, I attended the SF Mixtape Society‘s quarterly mixtape swap at the Make-Out Room. The concept is simple: You’re given a theme (this quarter, it was: CAMP), you interpret as you wish, and put together your very best rockin’ mixtape. Then, you slap some sweet artwork on said rockin’ mixtape, drink beers, swap mixtapes via raffle and vote for your own fave. The event brought out an array of different people, age ranges, creativity and interpretations, however, essentially it brought together a plethora of mixtape aficionados and new music lovers alike. Bonus: Free beer if you actually put your mixtape on a cassette. What’s not to love about it? 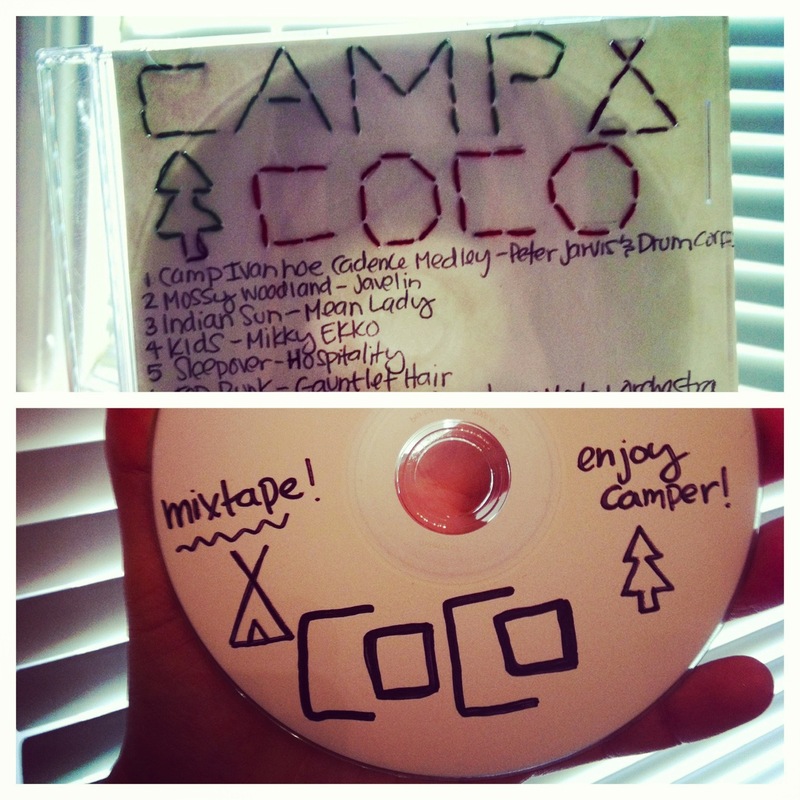 So with that, here is coco stereo‘s very own camp-themed mixtape, complete with a free download. Enjoy campers!